Recently I learned that Kim Lutz of Welcoming Kitchen (and author of Super Seeds and The Welcoming Kitchen cookbooks) had created a dairy-free instant hot chocolate mix, Windy City Cocoa, I was intrigued to say the least. It’s not unusual for instant hot chocolate to be gluten free—and Windy City Cocoa is gluten free, of course—but it is unusual for instant hot chocolate to be dairy free. 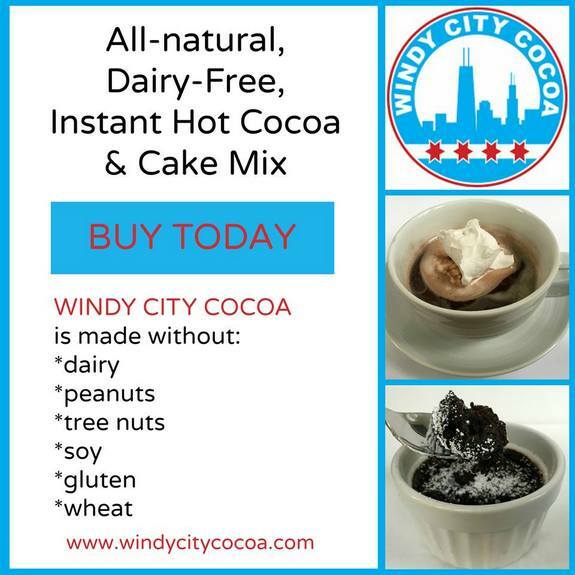 Not only is her instant Windy City Cocoa gluten free and dairy free, it is also peanut free, nut free, soy free, egg free, vegetarian, and vegan. Those are ingredients I can live with! And did you note that second ingredient? “Gluten-free whole-grain oats.” Okay, that might give one pause, so to speak. Especially those of us who are gluten free. Oats? First, who has ever heard of oats as an ingredient in hot cocoa? Truthfully, I was so intrigued to see oats in an instant hot cocoa/hot chocolate mix and I’ll share more on how they actually work in this product in a minute, but right now I want to examine the oats a bit more. As someone who eats strictly gluten free for health reasons, I, of course, wanted to know the source of the oats being used. After learning about other companies like this one, this one, and this one using mainstream oats versus purity protocol oats in “gluten-free” products and making many ill, I wanted to know the exact source of the oats in Windy City Cocoa. I was not going to simply accept a “gluten-free” label as proof that they were safe. First, I was so pleased that Windy City Cocoa readily shared its oat supplier. That kind of transparency is what we need from gluten-free vendors. If you contact a company that provides or uses “gluten-free oats” in a product and they refuse to disclose the oat source, you need to move on to another company that will disclose and that does use purity protocol oats in its products. How Does Windy City Cocoa Taste? Now that Windy City Cocoa’s oats have been vetted, how does the product taste? In regard to the oats, and overall? For my first sampling, I tried Windy City Cocoa as primarily intended, as hot chocolate. I made the cocoa as directed, first mixing a small amount of hot water into the mix to make a paste and then adding the remaining hot water. That method worked beautifully. Admittedly, I could smell the oats a bit and taste them as well. They do impart a bit of bitterness and oaty taste, but the more I drank of the hot cocoa, the less I noticed the oat factor. Windy City Cocoa is rich, thick, creamy, and super satisfying. I’m pretty sure the oats play a huge role in all that, especially the satisfaction part. Added fiber definitely satisfies and I will tell you that I felt pretty good about starting my day with hot cocoa and oats—in one quick and easy mug of goodness! Now before sampling the hot cocoa, I fully expected to finish my mug and immediately want another. That’s usually the case with any other hot cocoa I’ve enjoyed—even homemade—but that was not the case with Windy City Cocoa. It really is super satisfying and filling! After making the cocoa with water, I wanted to try making it with hot milk. I’ve always preferred other cocoa/hot chocolate—homemade or instant—when made with milk. To keep this hot cocoa dairy free, I decided to add hot full-fat coconut milk. While the results were still very good and maybe a wee bit creamier, the addition of milk versus water seemed to actually take away from the rich chocolate taste compared to when it was made with hot water. I am certain that it was not simply the fact that the resulting hot cocoa was lighter in color when made with milk playing a trick on my mind. I was delightfully surprised that the version made with water was so much better than the milk version. Considering that hot water is more readily available than hot milk, this was really good news! I can already see me stashing several packets of this mix not only in our pantry, but also in our camping box and in our vehicles (even in the motorcycle saddle bag) for road trips. Even convenience stores offer hot water so grab your Windy City Cocoa packet and you’ll soon be enjoying dairy-free hot cocoa. I can’t tell you how much I love the idea of enjoying a satisfying dairy-free hot cocoa when on the road! Not only can this hot cocoa mix be used for a delicious cup of hot chocolate, but it can also be used as the base for a microwave mug cake or pudding, and all or part of the packet contents can even be added to a smoothie. Note that these are not my ideas. Windy City Cocoa actually shares them on its site, including the recipe for Windy City Cocoa Mug Cake. (Honestly, the recipe is so simple that you’ll have it memorized after making it the first time.) Can you say lots of delicious options? I don’t know about you, but I love options! With my third and final sample packet, I made the Windy City Cocoa Mug Cake. I used an egg in my recipe because I eat eggs. As you can see, I made my cake in a ramekin versus a mug. Eating out of a ramekin always makes me feel like I’m enjoying dessert at an upscale restaurant. I like that feeling! Hehe. The results were delicious and, once again, breakfast worthy! UPDATE: This giveaway is now closed. Winners have been contacted via email. 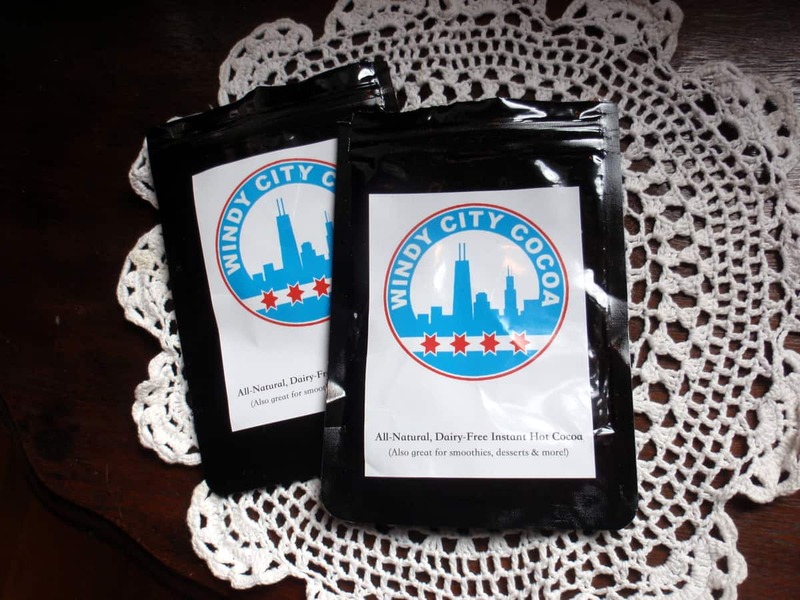 Would you like to try Windy City Cocoa? I thought you would! Kim has offered to give FIVE gfe readers sample packages containing 3 packets of Windy City Cocoa. The giveaway will end Saturday, December 19, at midnight Eastern. I’m closing out this giveaway pretty quickly (and you’ll need to reply ASAP or another winner will be selected) so that if you’re one of the winners there will be a chance that you’ll even get your prize before Christmas, or at least before the New Year arrives. Use Rafflecopter below to enter the giveaway. If you’re not into giveaways and want to buy some Windy City Cocoa to try right away, click on the image below or click here to purchase Windy City Cocoa. This is not a sponsored post and does not contain affiliate links. All opinions are my own. I was simply provided three complimentary packets of Windy City Cocoa to sample. I am sharing my review because I want to support companies that offer safe and delicious gluten-free products. I love the fact that I can make this great sounding drink WITHOUT milk!!!! My daughter will be thrilled! This appeals to me because it is chocolate. I’d like to try a microwave mug cake. Ohmygosh, yes. Instant hot cocoa with no dairy, please bring it ON!! As someone who is gluten free and dairy free for health reasons, I am excited to try this new product. I love the idea that it can be made into a mug cake too. I can see that I will be using a lot of this cocoa mix! I love the idea of making it into a mug cake. Whoa, this sounds great. I’m ordering done even if I don’t win it. Thanks! I like that you say this is a satisfying drink. The little packets are hardly satisfying. I’ve never been to the Windy City, but I’d love to try the cocoa. I love hot chocolate!! I would love to try the mug cake too. Looks fabulous. I think my daughter would like this! Is this available online or in grocery stores? I’m always on the look out for dairy-free hot chocolate and this one sounds intriguing! Wow! Congrats to the Windy City folks. What a great addition to my son’s morning arsenal of things he can and will eat. I’m sure the pudding or cake will make an appearance once and a while too since he could make them himself. Mmmm! I love hot chocolate but the dairy free options I have found are sad. I would LOVE to try this! Being able to offer the dairy free people in my live a nice hot cup of hot chocolate would be so nice! I’ve been searching for a very long time for a hot cocoa product that would meet my needs and also not contain unwanted chemicals. Windy City Cocoa seems to be exactly what I’ve been looking for. It would be so enjoyable to have on a cold winter day or to just boost my mood and make me happy. This mix would be great for making the mug cake recipe for early morning breakfasts. It sounds delicious! Your detailed notes are so helpful Shirley! I only tried it with water and loved how rich it was – like a chocolate liqueur almost. I felt bad not trying it with milk beverage, but good to know it’s actually better with water. I’ve got one package left scheduled for a mug cake! This would be fun to treat my kiddos to this winter! I would drink it with my coffee in the morning. This would be so great for my daughter who has allergies and misses things like hot chocolate that is easy to make and quick in the mornings.—and the cake in a mug—wonderful! Why haven’t I heard of this company before? I would make the hot chocolate it water as I am dairy free. This product sounds good and so much healthier than other hot chocolate mixes. I haven’t had hot cocoa in a long time. This might be good to try with the oats and it being dairy free. This appeals to me because it’s hard to find vegan hot cocoa mix! I’m definitely trying the mug cake in a ramekin because I like to limit my portions, especially at times when a whole cake would just tempt me beyond resistance. 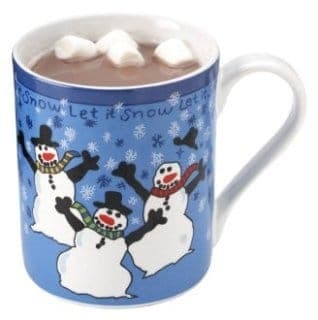 My husband is a hot chocolate fiend and often wants to enjoy some together with his family during the winter months. However, with at least one kid who is a celiac and another who is allergic to dairy, eggs, soy, and nuts, it’s tough to make it work. I would love to try Windy City! Sounds like a great solution for our family! Sounds delicious! I’ve been GF for a year, but have just gone dairy free. Love that is actually tastes better with water than milk. Intriguing! Recently tried “oat” milk. Wasn’t thrilled but the way you described your experience trying the hot chocolate definitely has me curious Shirley! I have a chocolate allergy, so my hot chocolate ventures are far and few between. When I decide to partake it is truly a “treat”!!! Recently had to stop eating/drinking almonds. They were my whole world..the bases of so much I ate and drank. I loved making a little mug of chocolate with almond milk. Have not had an interest since no longer drinking almond milk. Well now, maybe that has changed!!! Dairy free hot chocolate that actually tastes milky? Sign me up. I’d drink it as an after-dinner treat. SO excited to win this! So excited to have WON 🙂 thank you! It’s always so fun, right? 🙂 You are welcome, Heather! Thanks for the great prize! I’m thinking chocolate mug cake with caramel topping. Yum! Oh my!!! It’s been a busy morning and just got a chance to look at my emails! WooHoo! I am anxious to try the hot chocolate!! And maybe cake the chocolate cake!!! Thank you so much Shirley!!!! ??? So excited to win!!!!! Thanks GFE and Windy City Cocoa! I hope you’ll enjoy your Windy City Cocoa, Wendi! The oats definitely gave me a pause there — not so much because of the gluten concern, but because now I’m all curious what it’d taste like with oats in there… 🙂 Sounds yummy! 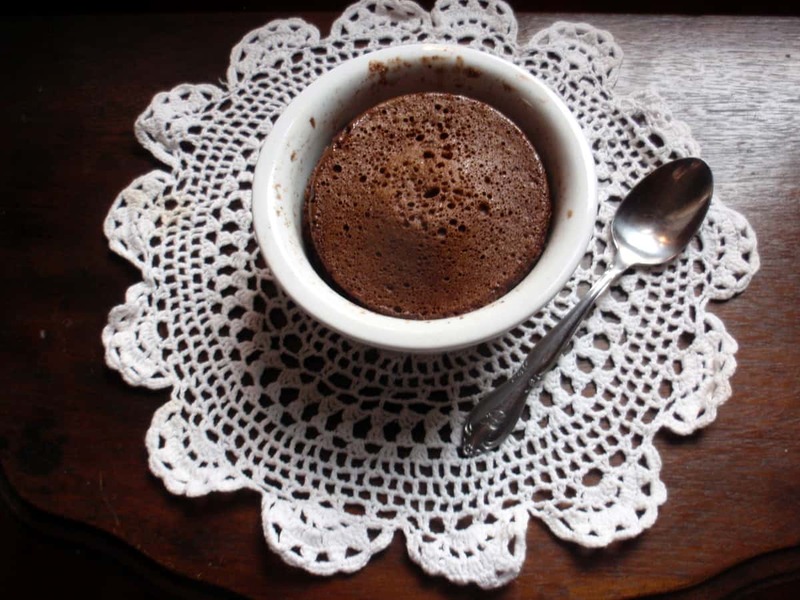 Delicious chocolate mug cake, love to try it, thanks for sharing with Hearth and soul blog hop, pinning and tweeting . Happy new year to you and your family.